An award-winning journalist and columnist, Sylvia Coleman garnered most of her accolades chronicling the chaotic lives of others in her articles. On the outside, she appeared to have it all: a burgeoning writing career, a wonderful man and a supportive family. But behind closed doors, her life was just as turbulent as some of the subjects of her award-winning articles. Sylvia was crumbling under a facade - enabling her alcoholic boyfriend, and hiding a dysfunctional past filled with: bouts of clinical depression, overeating, stints of homelessness, and haunting flashbacks of sexual abuse. It would take an unexpected tragedy to force her to finally deal with her past. 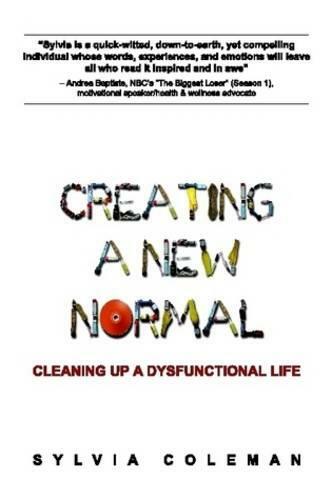 "Creating a New Normal" describes in extraordinary detail Sylvia's journey toward healing from what she describes as "a victim mentality."